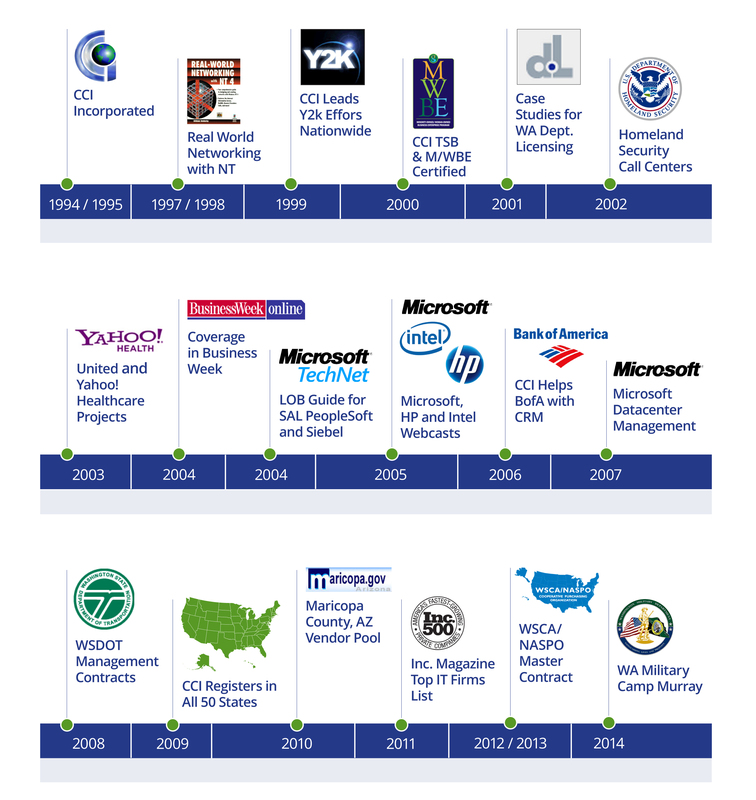 Computer Consultants International, Inc. (CCI) began in the ’90s with a vision: to approach the challenge of technology from a new angle – that of controlled development and delivery of software solution to customers on the internet. Over the years, CCI has become a leader in technology delivery and specialty software for government, customization of CRM/ERP systems and software solutions for the healthcare systems. Download our Corporate Overview and History to learn more.